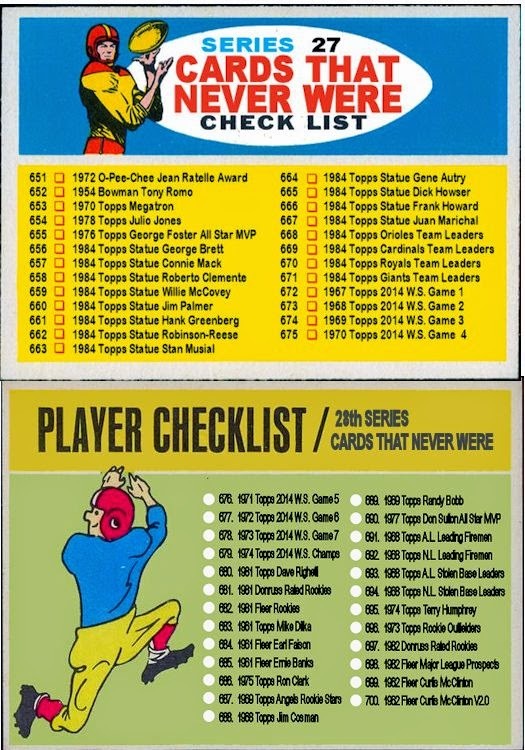 In my previous post I pointed out some other types of cards that might have been included in the 1963 Fleer set had it not been cut short due to Topps' lawsuit. 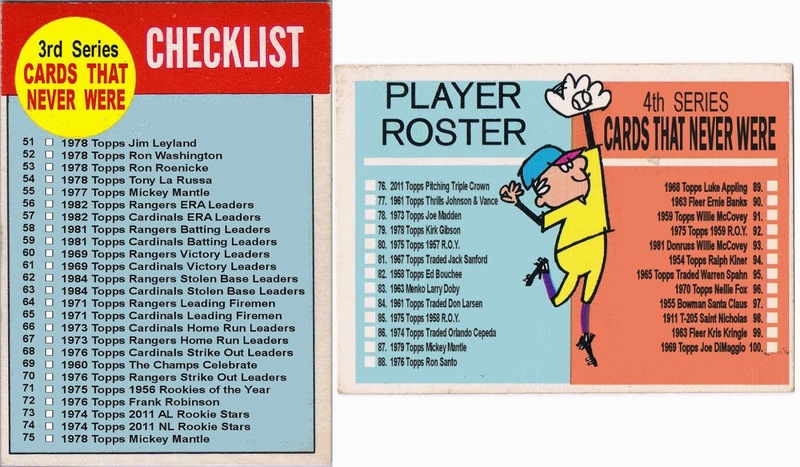 In my last post I added manager, rookie and team cards. 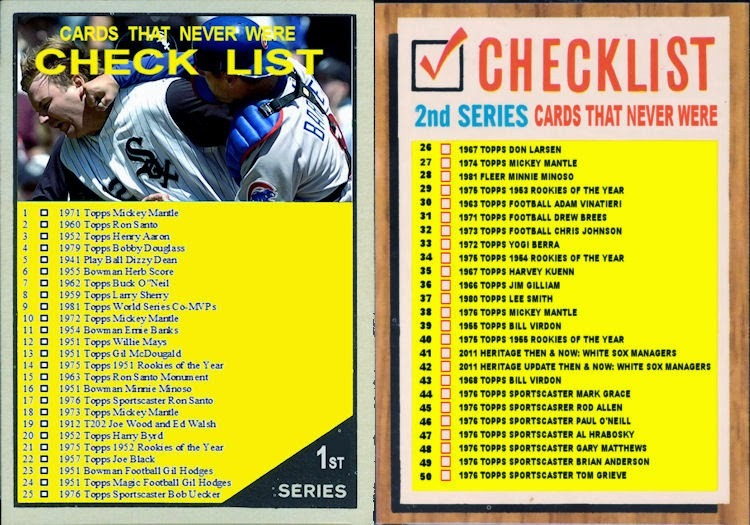 But what set would be complete without leader cards? Again I made one example from the American League and one from the National. 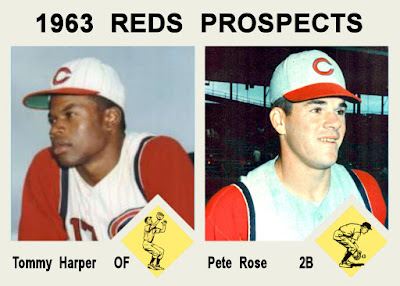 Not a bad selection of players either. 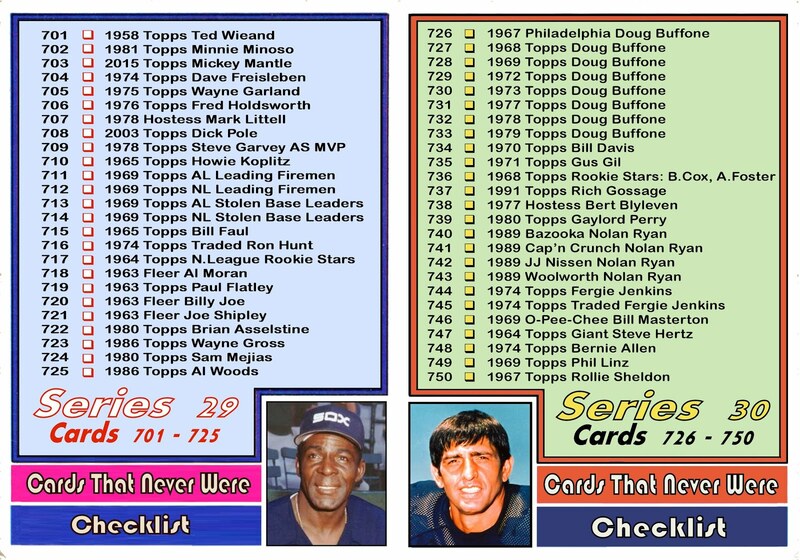 Five out of six are in the Hall of Fame now. 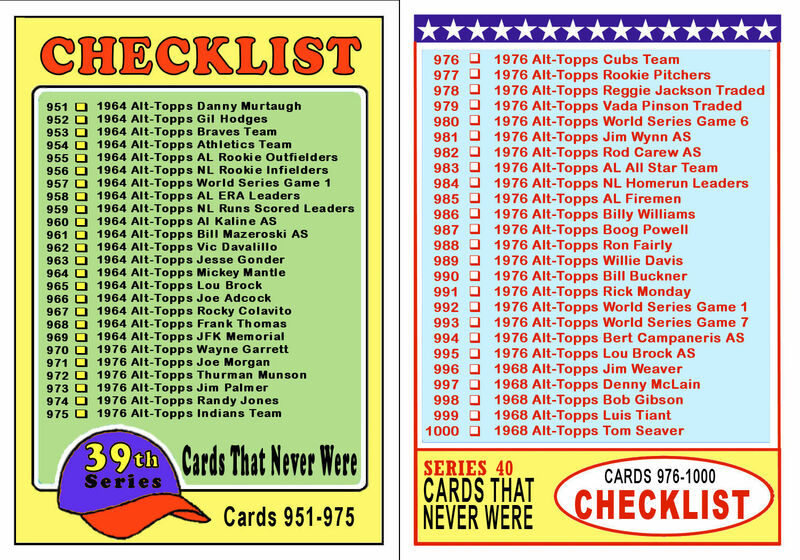 I tried to remain true to the Fleer design, but when I was done it looks reminiscent of Topps 1964 Leader cards. 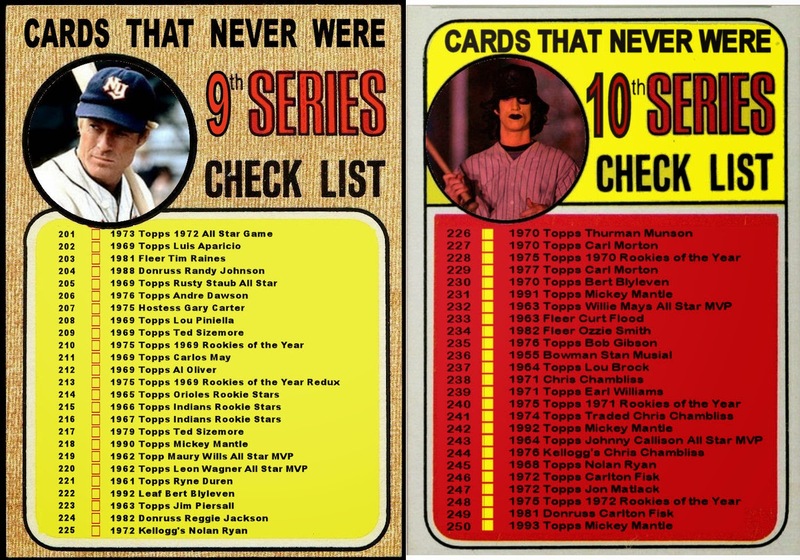 Also missing from the initial 66 cards were World Series cards. 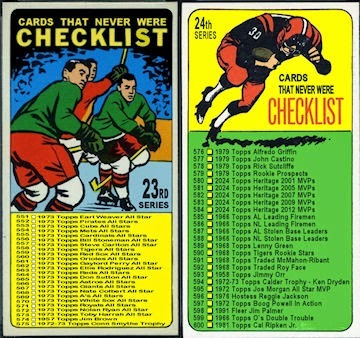 Not necessarily essential, but usually a source of action shots in the 1960's when most cards were posed. 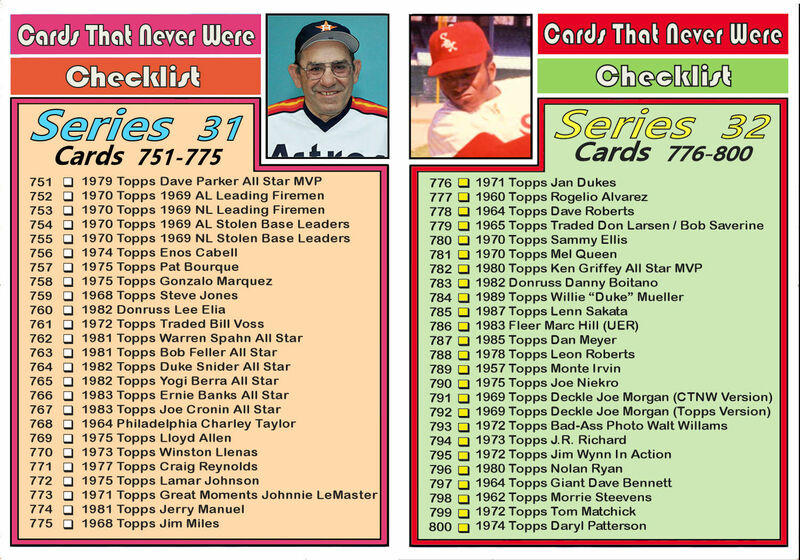 Again, one card example featuring the National League team, and one for the American League. I decided to go with black and white photos out of necessity. While I could find a few color photos of the 1962 Series. 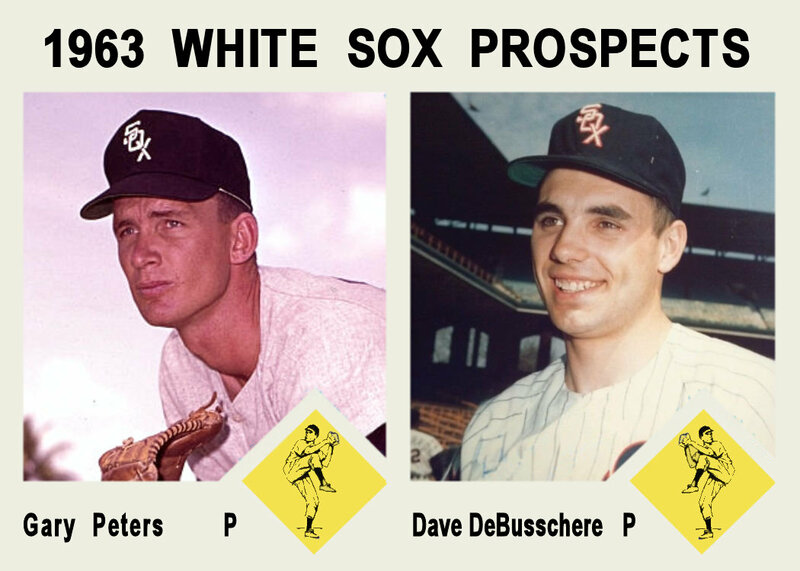 Topps colorized their WS cards in the early 60's but revered to black and white in the later part of the decade. One of my favorite subsets, the All Star cards, were notably missing from the 1963 Topps set. 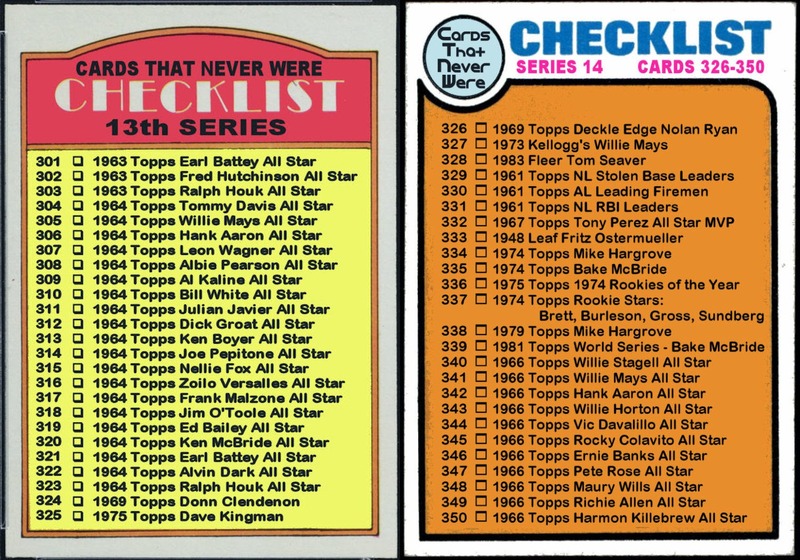 When Topps did include All Stars, they weren't often the starting All Stars from the previous season. 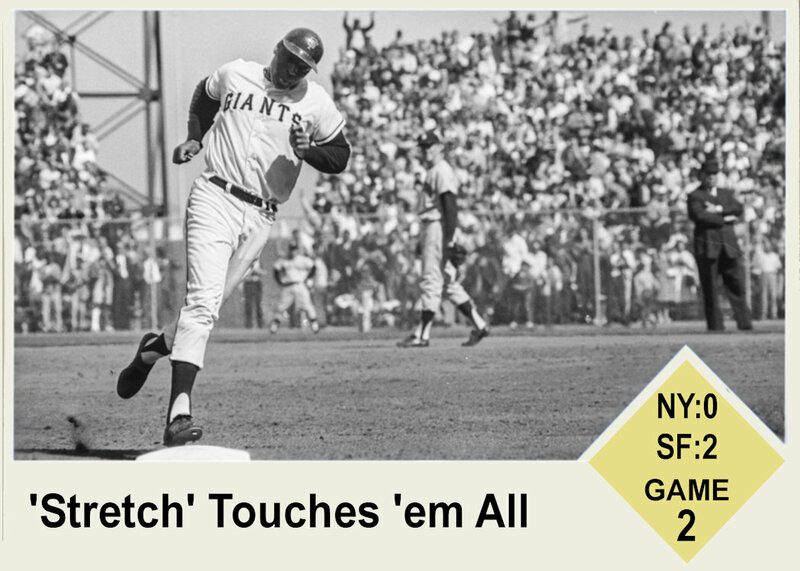 Often they were labeled "Sporting News All Star" but often that wasn't the case either. 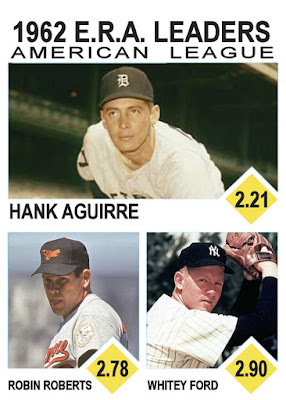 In my examples, both players were Sporting News All Stars in 1963. 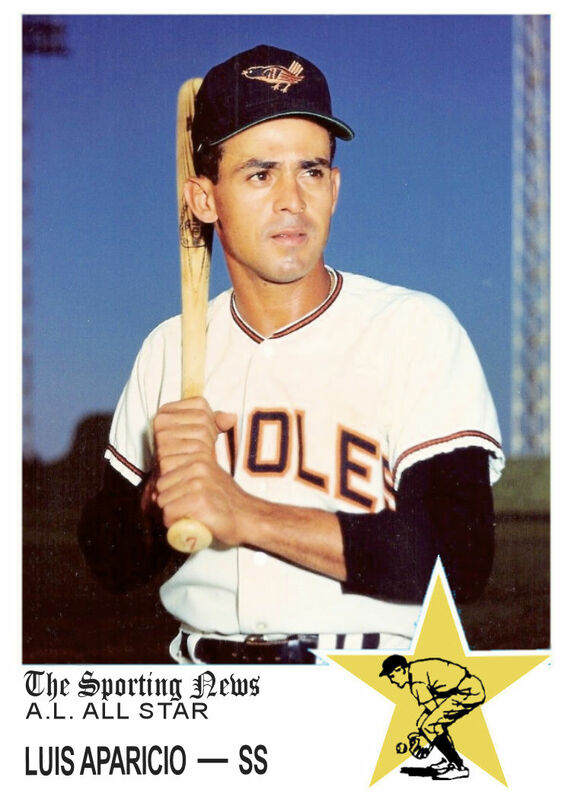 Luis Aparicio played starting shortstop in the 1962 All Star Games while a member of the White Sox. In 1963 he was the backup to Zoilo Versalles . 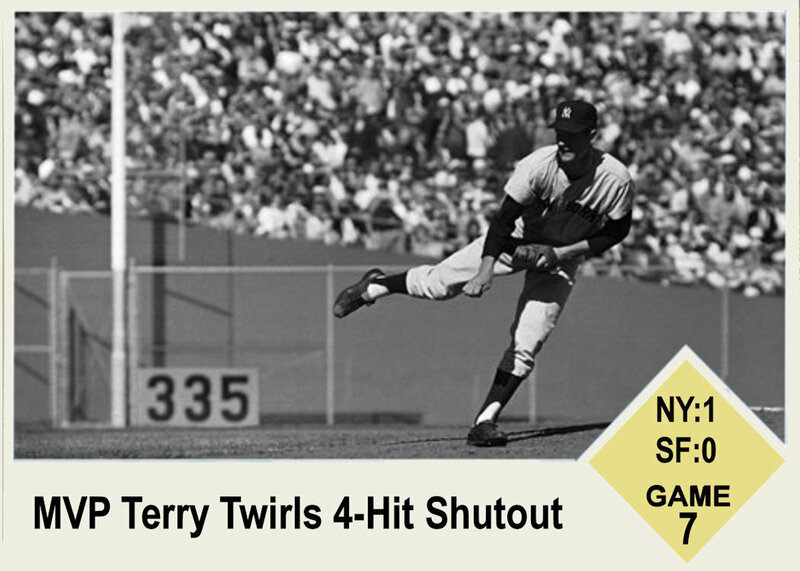 Johnny Edwards was the Sporting News All Star in 1963 but was a backup to Ed Bailey of the Giants in the 1963 All Star game. Edwards took over for Bailey as the Reds catcher in 1961 when Bailey was traded to the Giants. 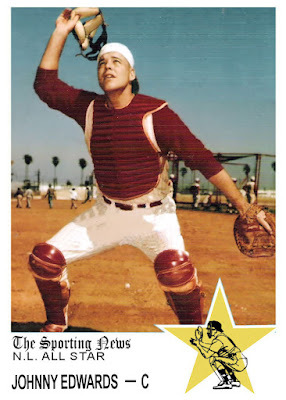 Edwards, a three time All Star and two time Gold Glove catcher was succeeded by Johnny Bench in 1968. 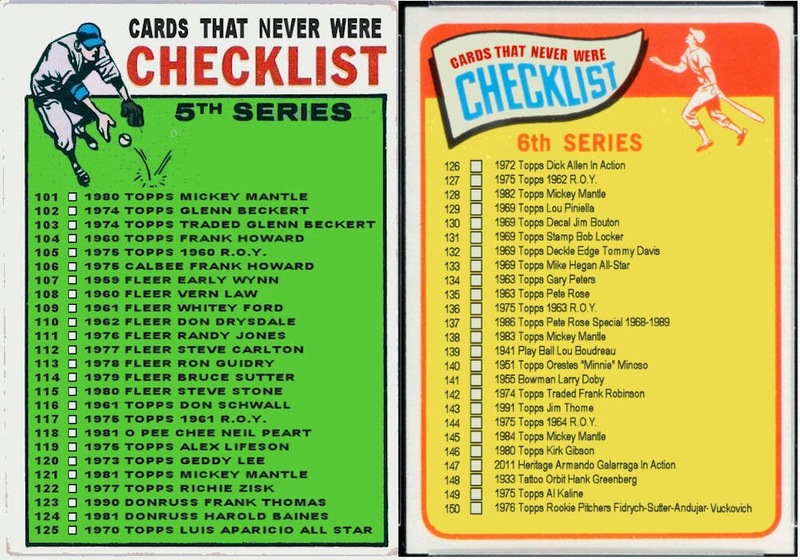 In the Original 66 cards was the rookie card of Maury Wills. 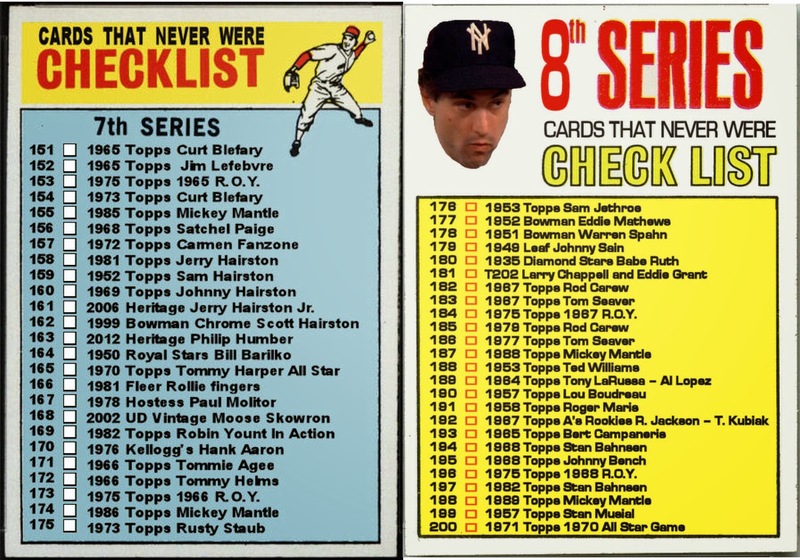 On that card, instead of the usual player drawing, Fleer put "N.L. 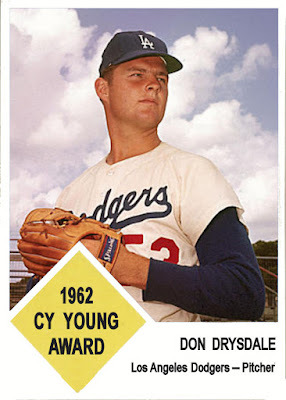 Most Valuable Player '62". 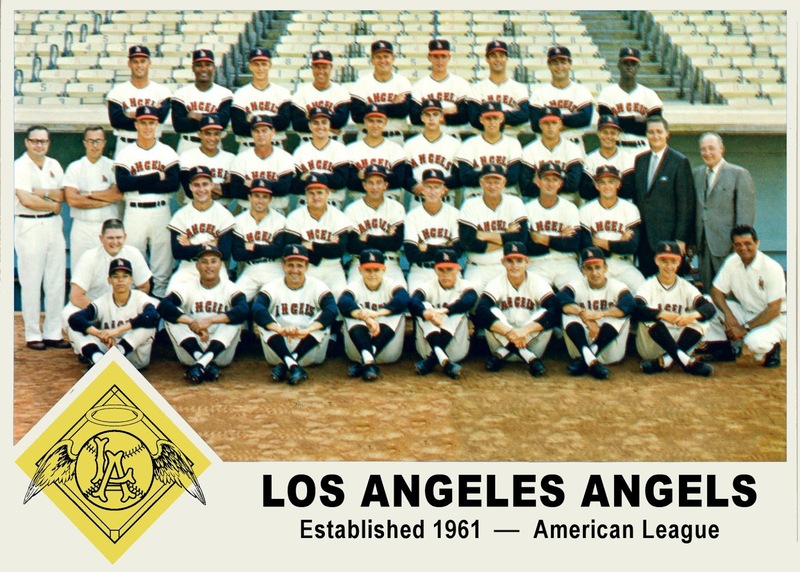 They replicated that for their 1998 Mickey Mantle insert card. 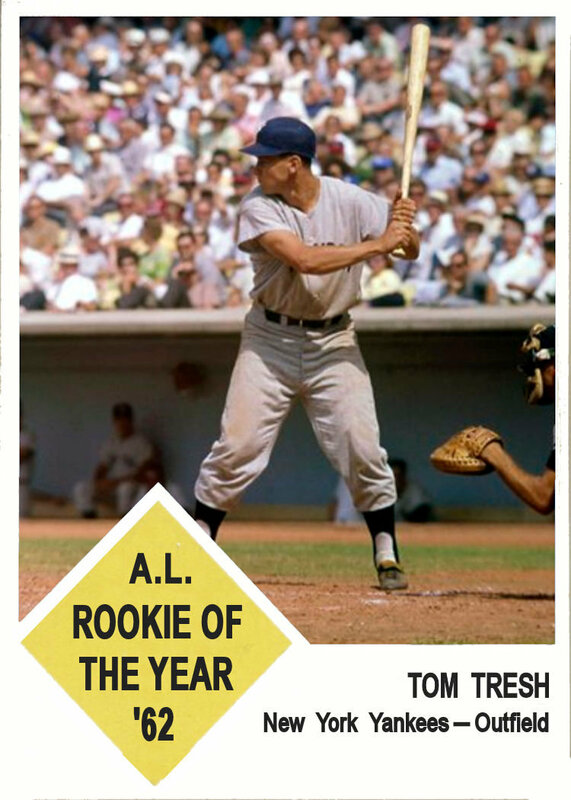 I made a Rookie of the Year card for Ken Hubbs using the same design. 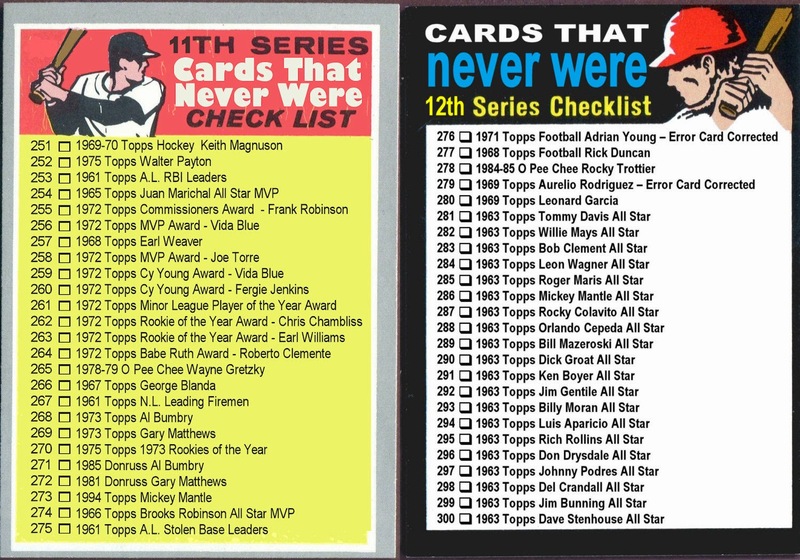 While most sets of this era didn't have "Award" cards, it seem like a logical extension. So here is the other R.O.Y. from 1962, Tom Tresh and the 1962 Cy Young Award winner, Don Drysdale. In my last post, I wrote about the 1963 Fleer set. 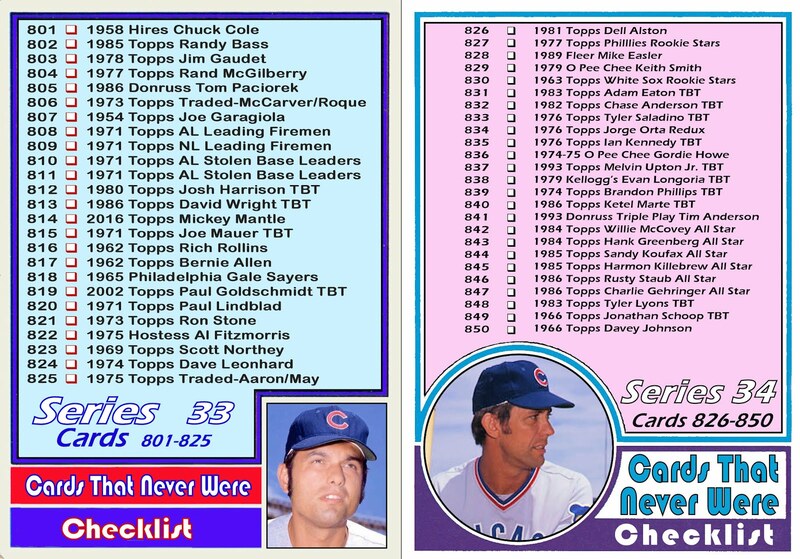 Specifically, how it was just 66 base cards and not a complete baseball card set as we know it. 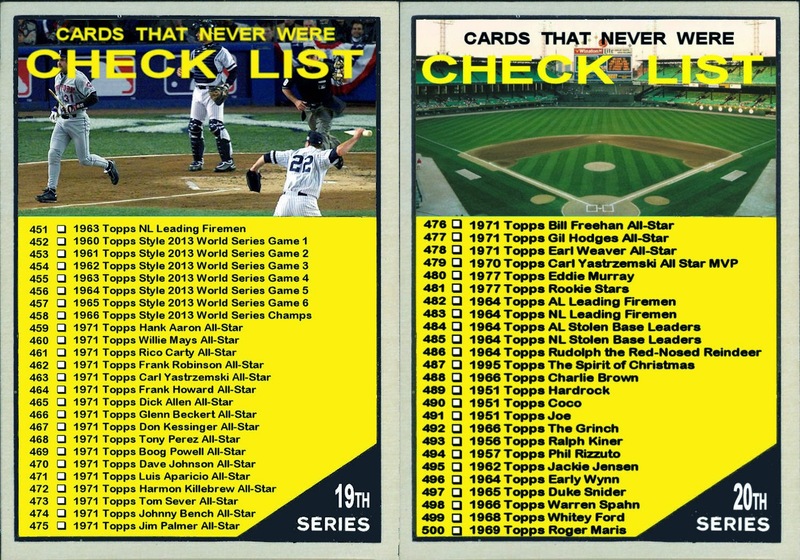 So today I am speculating about what some of the other non- base cards would look. One of the first omissions from the set is the manager card. 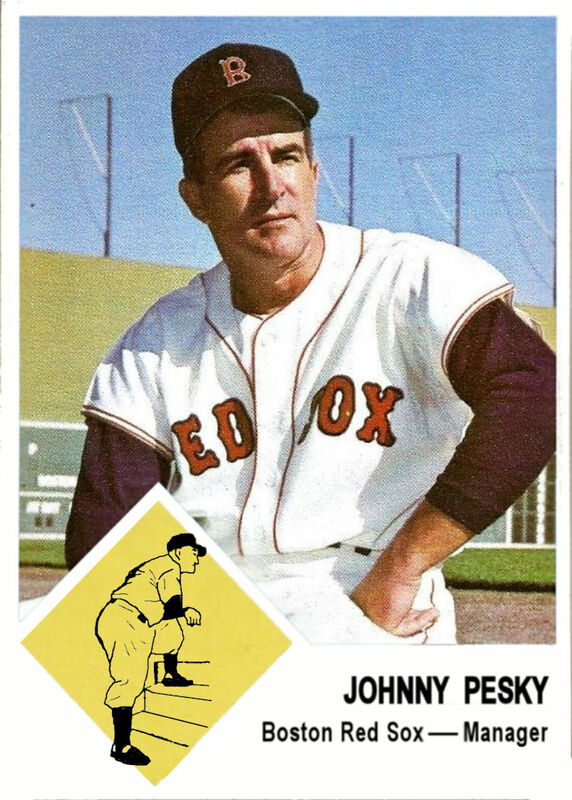 Johnny Pesky guided the Red Sox in 1963 and 1964. Hand picked by Tom Yawkey, Pesky was a fan favorite. 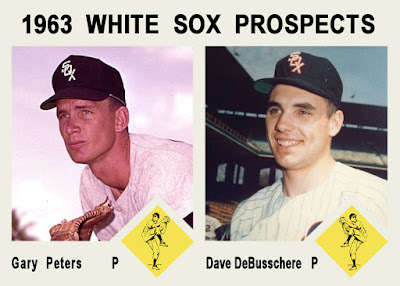 But the Sox finished in 7th in 1963 and 8th in 1964. 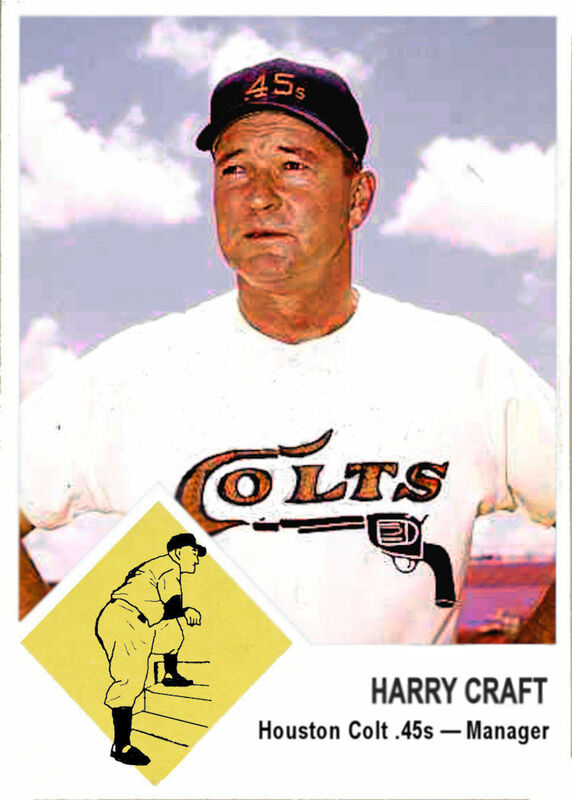 Harry Craft was the first skipper of the expansion Colt .45s in 1962. He coached there until his eventual dismissal late in the 1964 season. The Colts weren't the first team he'd managed. He was the K.C. Athletics manager from 1957-59 and was part of the Cubs "College of Coaches" experiment in 1961. In his 7 years managing 3 different clubs, he never finished above 7th place. Since there wasn't a player pose for manager, I had to create one. 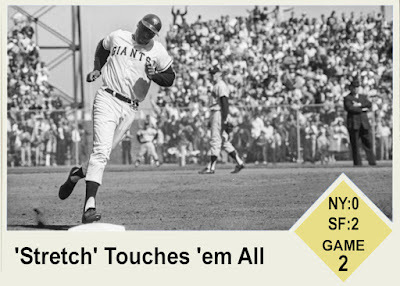 With the help of photoshop, I lifted the outline of Casey Stengel striking a classic pose. You know what else is missing? 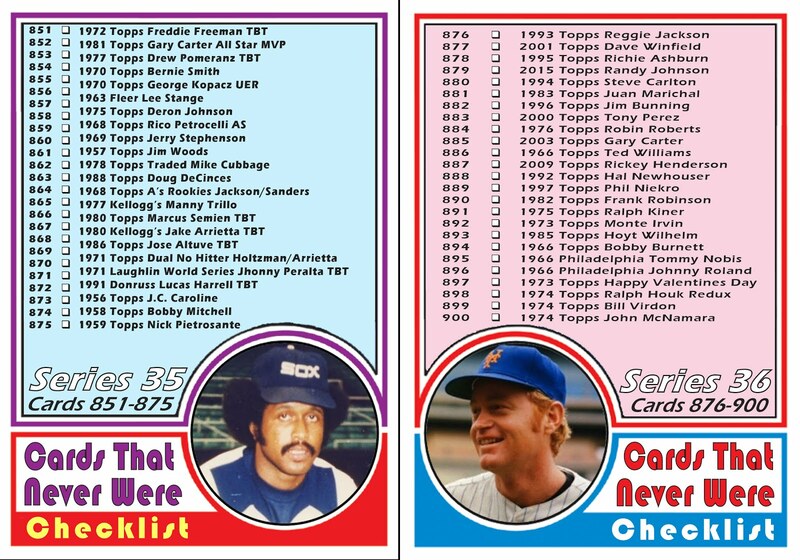 Good old-fashioned team cards. They are missing from current sets as well. I guess they just don't take those type of pictures anymore. Too bad, I miss them. I picked a team from each league. 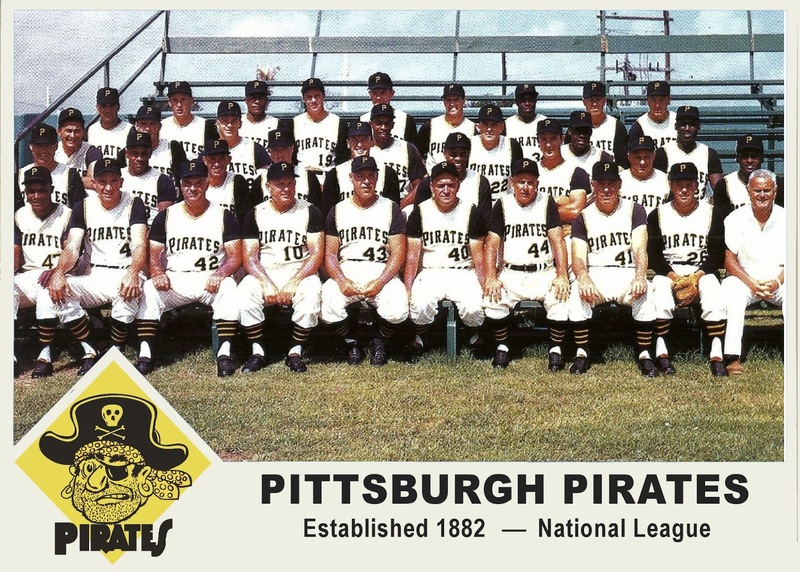 The Angels in just their 3rd year and the Pirates, who had been around since the late 1800s. 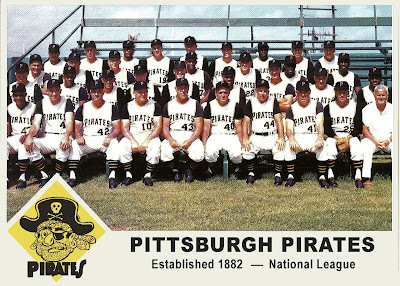 I was surprised to learn that the Pirates logo from this era was this cartoonish buccaneer. 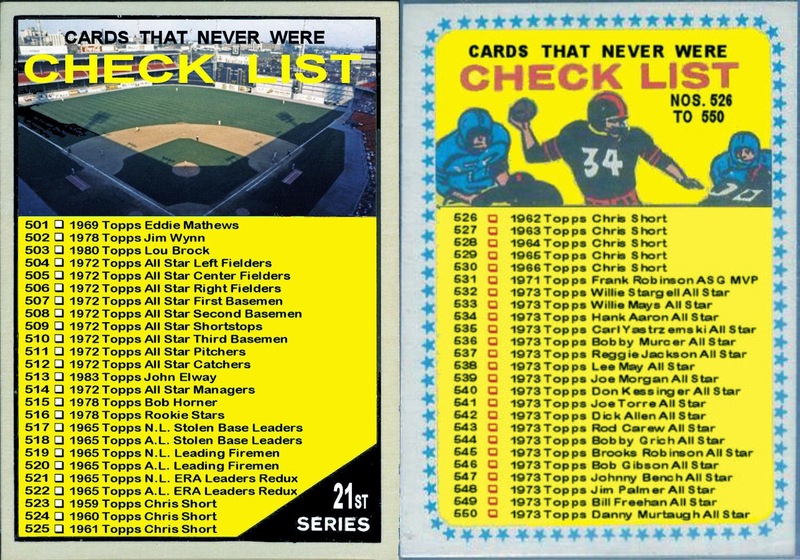 Topps continued to use their older "classic" logo. 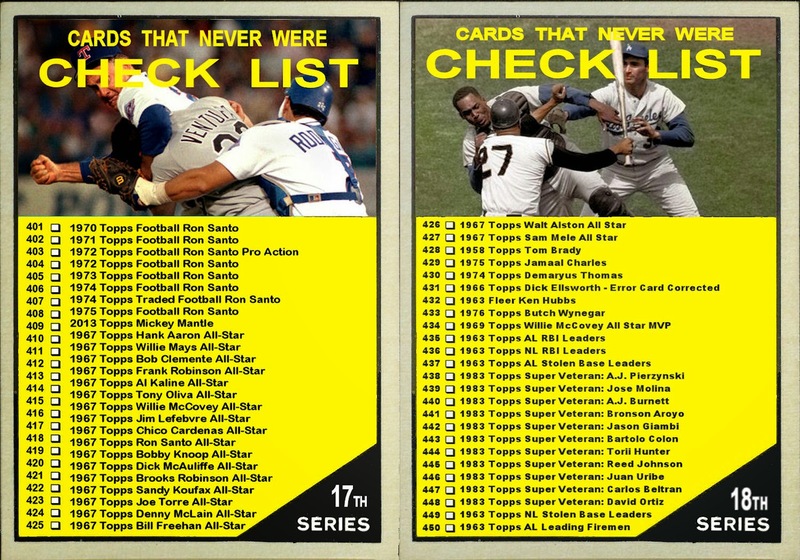 Last but not least are the rookie cards. 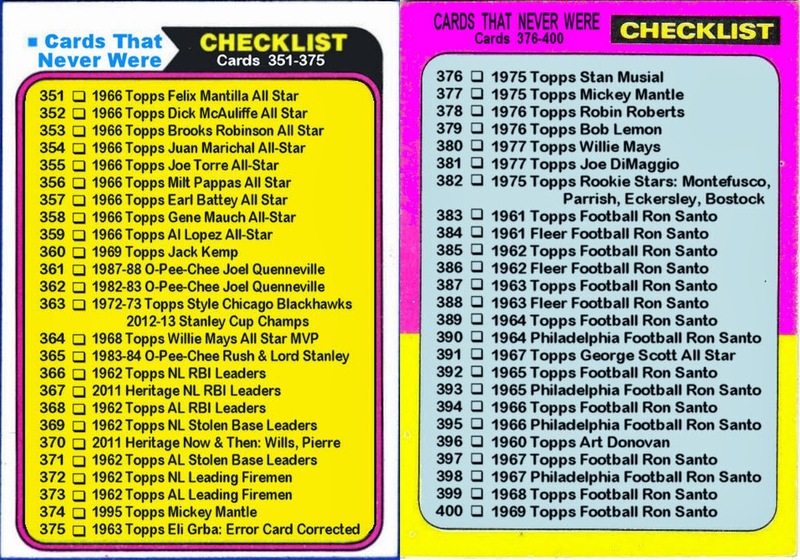 Topps used the phrase "Rookie Stars" on their cards. 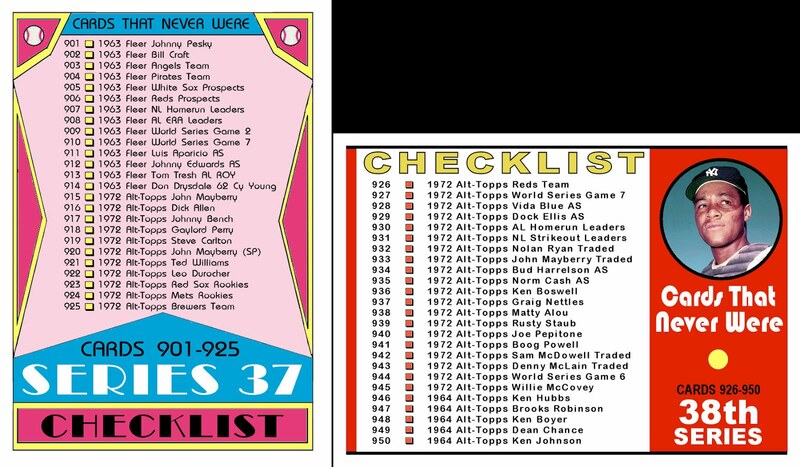 Fleer sets of the 80s used the term "Prospect" which seem more appropriate given some of the "stars" that appeared on Topps rookie cards. I used the eventual 1963 Rookies of the Year as the subjects of these cards. 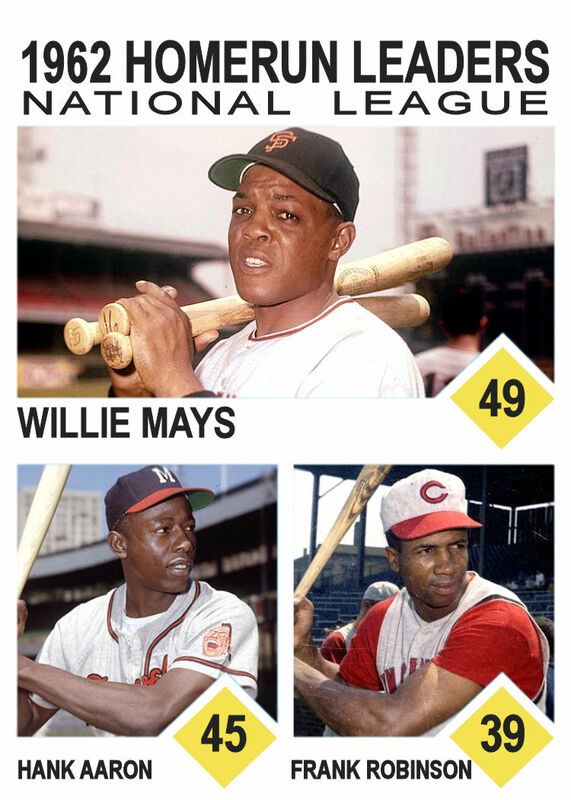 In all they are all very good but only one was an eventual Hall of Famer. Dave DeBusschere is in the Basketball Hall of Fame.